Flying is the second greatest thrill known to man…landing is the first! And yet a beautiful day for flying. Good friends of ours, we’ll call them M&T, are escaping toward escapades and plan to share their hi-jinks with us lowly work-a-day schlubs. Give them a gander over yonder at skipsters.com. Experience is the knowledge that enables you to recognize a mistake when you make it again. 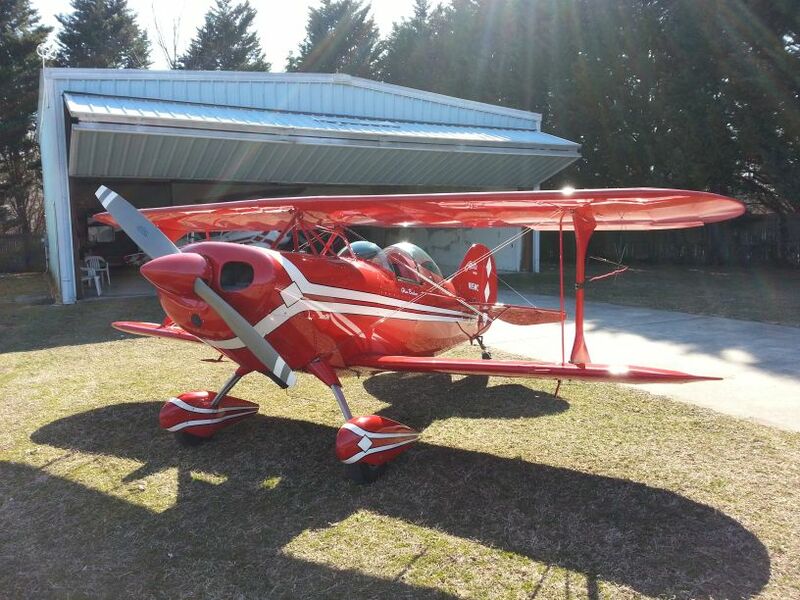 I came across this on biplaneforum.com. I don’t know the creators but they are to be applauded. It’s visually and creatively stunning and the music choice works perfectly. Of course the gorgeous airplanes and magical flying abilities of Skip Stewart and Kyle Franklin don’t hurt either. Full screen and high volume is the way to watch this one. Kyle and Skip from MikeL on Vimeo. The future in aviation is the next 30 seconds. Long term planning is an hour and a half. It’s official. And it’s no April Fools joke, despite the date. 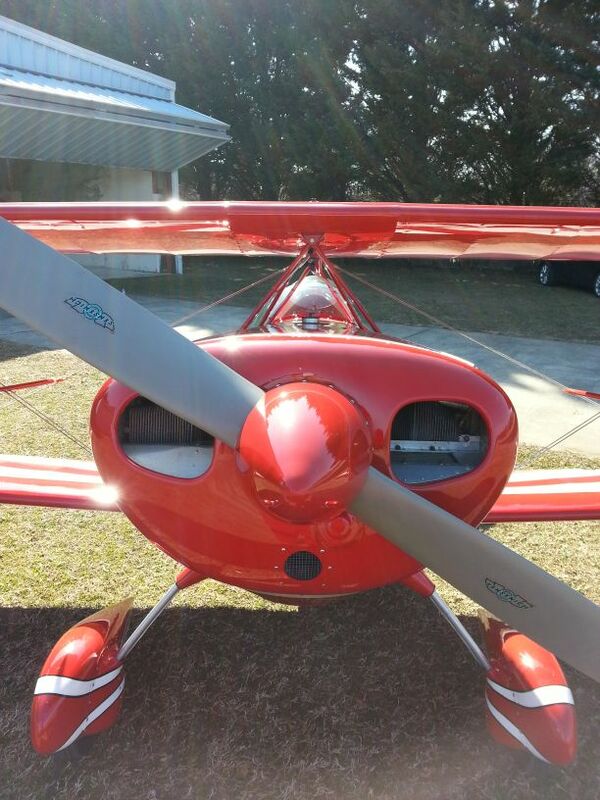 Two days ago I successfully took off, flew, and landed my airplane…several times! And what a perfect day for it. Clear, dry, and light winds. I was really nervous, I’m not used to being that nervous, but it was mostly good “sense enhancing” stress. I was tight for the first part of the flight but slowly relaxed. By the time I came back to Lee I relaxed enough to not screw up my first approach to the relatively short, narrow strip I’ll call home. (It’s too bad I don’t have cockpit video of that landing. I would love to see what my face was doing!) My flying wasn’t pretty but I’m really happy with it. It felt good. Karen told me how quickly it gets up and goes, but I was still exhilarated by the takeoff and climb. Dan Freeman flew his practice sequence and had just landed at Lee when I took off (he makes an appearance in the video). Mark Meredith (restoring a Super Chipmunk in the hangar next to Bill Finagin) took the opportunity for a proficiency flight in his Archer and went down to Cambridge about the same time. Emily’s brother Bennett flew with him and we had lunch down there. It was a great afternoon. I went to Cambridge, did some testing west of the field: slow flight, stalls, rudder walk, turns, and found ~1900rpm gets me to a 100mph pattern speed. I did some brief checks of control feel at lower airspeeds and I’ll explore more soon. I found it takes a ton of right rudder, even in cruise a left turn only needs the barest hint of left rudder. I’ll explore that more as I get more time in it. Then I headed into the pattern at Cambridge for three low-approaches and then a landing. Communication is still an issue, so maybe it’s not the radio. On the way out Potomac reported me weak, broken, and unreadable. Mark was only 5 miles away and said I was clear but very weak. (We planned to come back into the SFRA as a two-ship, just in case, but apparently Potomac could hear me well enough so we came in separately.) The automated radio check on the ground at Lee sounds fine. Troubleshooting ensues so I can go flying again! I put cameras on the airplane but I didn’t give them much attention…I had other things to focus on. Consequently I didn’t get much usable video. The cockpit cam battery died quickly and the wing cam tilted back shortly after takeoff. I do have an hour of the underside of the top wing, though, in case that ever comes in handy. It’s not exciting video but it’s a moment I’ll remember forever. Thanks to Bill Finagin for his excellent training and getting me ready quicker than I thought possible. It’s not often we find ourselves down-range of any weapon, let alone a large one. How about this for size and sheer make-my-person-and-entire-airplane-cease-to-exist-from-4000-feet-away potential: 30mm gatling cannon delivering 3900 depleted uranium rounds per minute. Now make it a flight of two and you have my undivided attention. Pilots spend a lot of time and energy watching for other aircraft. The vast majority of traffic we encounter is “no factor”, meaning we see them (and they probably see us) and no action is necessary for either party. Very, very occasionally we might have to slightly change our direction or altitude briefly. Rarely (it’s never happened to me) do we find ourselves flying straight toward another airplane on a collision course. Even more rarely is it death-dealers like the Warthogs. It was a unique experience. It was never a problem but everyone was on their toes making sure everyone was doing what everyone else expected. A ‘good’ landing is one from which you can walk away. A ‘great’ landing is one after which they can use the airplane again. Pilot or not, there’s no debate that aviation in the US represents both our basic freedoms and our strong transportation system. GAPPA could greatly expand the existing general aviation pilot base. If you haven’t heard about it yet look at these links and get familiar. If you support it, I urge you to let your lawmakers know. I think it has the potential of addressing the declining pilot population. By allowing more pilots to fly the way most of us fly everyday we get more pilots flying and staying active longer. Aviation wins! I sent emails to both senators and my house rep. 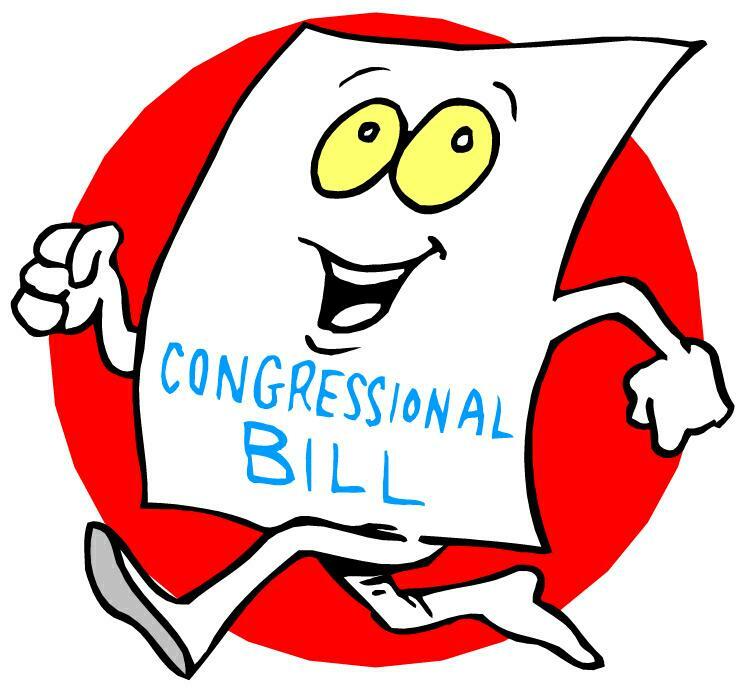 Please learn about these bills and contact your elected officials! Your message doesn’t have to be long or eloquent. Below is what I used so feel free to use it or modify it to fit you. I suggest writing a note in your own words, but they also have a way to easily send your senators and rep a message, after signing the petition. Here are links to find contact info for your senators and representatives. I’m a constituent and I support the General Aviation Pilot Protection Act. Please lend your support to H.R. 3708 (Rokita) and S. 2103 (Boozman). I’m an active and passionate pilot and believe the strong aviation community in the United States is a powerful advantage in many ways, both to individual freedoms and to the transportation system. These bills expand on the FAA’s successful sport pilot medical standard. Not only will they strengthen general aviation by getting more pilots flying and keeping them active longer (a major concern for everyone in aviation), they will save pilots and the FAA time and money. 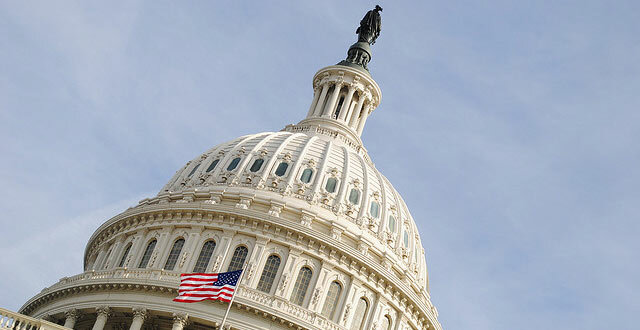 I urge you to cosponsor S. 2103 and do your part to keep U.S. aviation strong.